The New Suzuki Jimny 1.5L GLX is cute, just too cute. This was the general response from members of the public wherever I took the all the new Suzuki Jimny 1.5 GLX to. But whilst this 4x4 has very good looks and has the public swooning, it is also capable of delivering some serious off-road performances. At the outset, this is not your everyday ‘go to work’ vehicle. 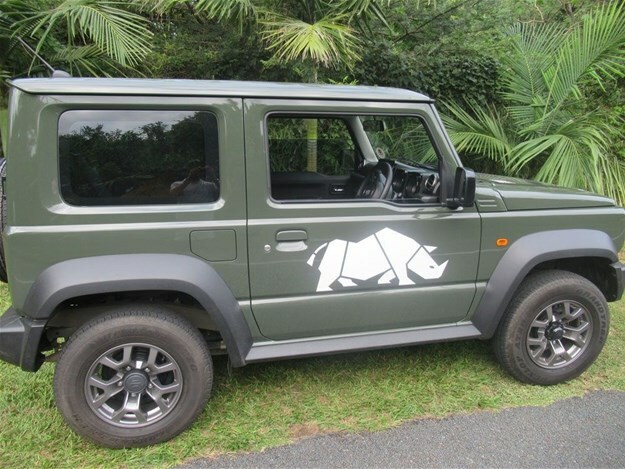 Instead, the Jimny is more suited for that weekend bundu bashing. Bring on any terrain and the likeable vehicle will take it on. The Suzuki Jimny has been around since 1970 and that seems like yesterday. I spent a week testing the 4x4 on all sorts of terrains and was reasonably impressed. The drive on tarred roads was very predictable and comfortable with plenty of legroom for all passengers, back and front, as opposed to previous models. All the basics controls and operations are there and within easy reach of the driver. So, if are carrying four passengers, there is very little room for any extra luggage. Which means that as long as there are two passengers, the rear seats have to be folded down should you wish to carry any luggage. Technological advancements is all the rage with all new passenger vehicles and this will never stop. 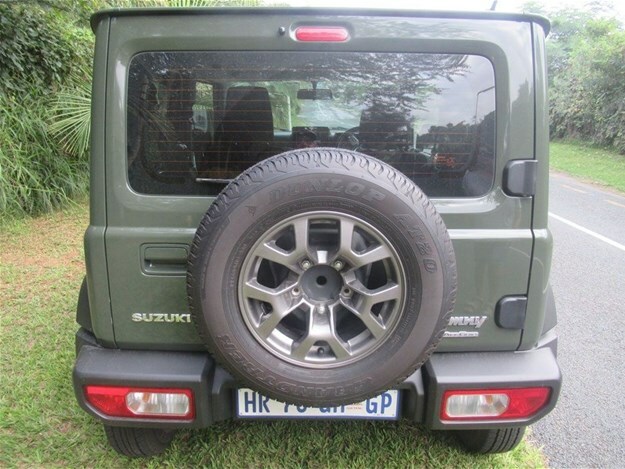 The Suzuki Jimny has a powerful 1.5litre four-cylinder engine under the hood that produces 75 kW and 130 Nm of torque. Enough power to keep you going at a steady pace on tarred roads. Also enhanced is the Apple CarPlay and Android Auto and a somewhat powerful infotainment sound system with a large touch-screen. I could not wait to get onto the dirt tracks to put the Suzuki Jimny through its’ paces, as this 4x4 is loaded with off-roading capabilities that include a brake supported slip differential (Brake LSD), Hill hold assist, Hill descent control and the distinct ability to change the mode of driving between two and four-wheel drive, as long as you are not in excess of 100km/ph. 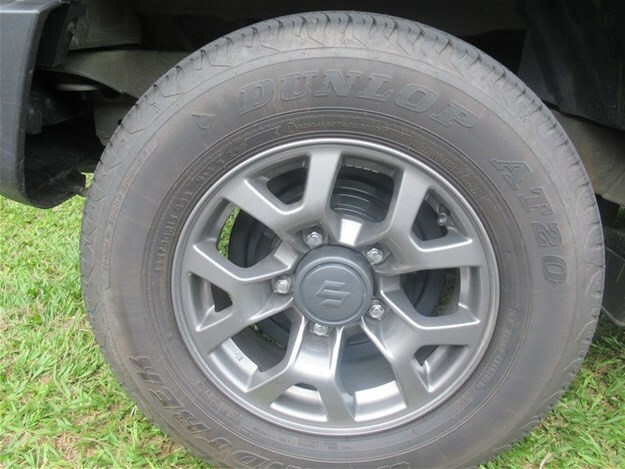 The spare wheel is fitted to the rear door for easy accessibility, while also freeing up space underneath the luggage floor and allowing for an improved departure angle. 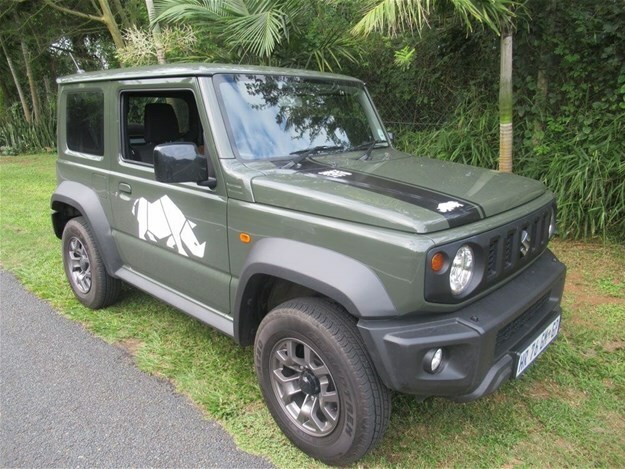 Suzuki Jimny comes in three dual-tone and five single-tone colours. The dual-tone colours are a new high-visibility Kinetic Yellow, Brisk Blue Metallic and Chiffon Ivory Metallic. These models have a gloss black roof. Like all Suzuki models, the Jimny is priced to be accessible to as many people as possible. The GLX model is standard with a 4 year/60,000 km service plan and the GA model with a 2 year/30,000km service plan. All models are sold with a 5 year/200,000 km mechanical warranty.